Hang your robe or towel in an easy-to-reach place. 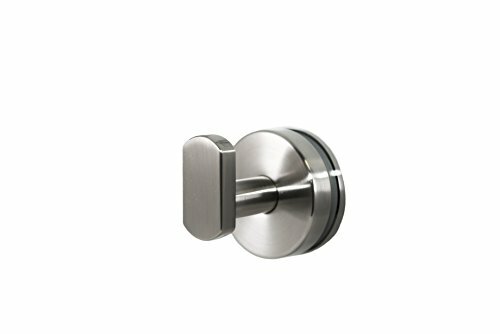 This robe hook is made to be mounted on your glass shower door or fixed glass panel 0.24-inch to 0.47-inch thick. A mounting hole of 0.5-inch diameter is required. Known for its innovative product designs and service excellence, Preferred Bath Accessories, Inc. offers a complete line of other coordinating Anello Collection accessories that will add style and sophistication to your décor. These products are durable, easy to install, and competitively priced. If you have any questions about this product by Preferred Bath Accessories, contact us by completing and submitting the form below. If you are looking for a specif part number, please include it with your message.